Eugene Kim isn’t a household name — yet. He’s a stand-up comedian who got his big-screen break in an indie film called “Sake-Bomb,” which took the film-festival circuit by storm. He’s also got a film coming out soon called “Car Dogs,” which is an ensemble piece co-starring the likes of George Lopez, Nia Vardalos, Josh Hopkins and Octavia Spencer, to name just a few. But first, let’s talk about Andrew Dice Clay. Eugene’s guest-starring role on Showtime’s “Dice” has everyone talking. I spoke with him about it recently, and he gave me the scoop on working with the legendary showman. Celebrity Extra: What were your thoughts about the project when you decided to audition for “Dice”? 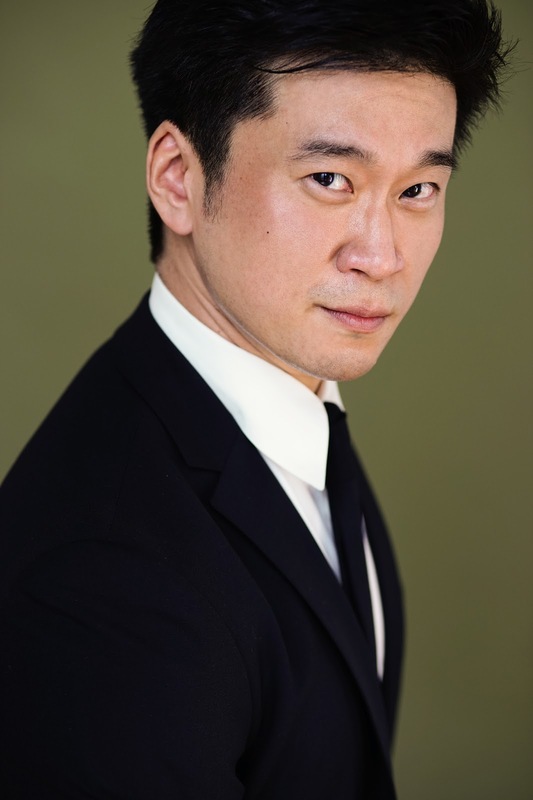 Eugene Kim: I got a call from my agent, the same day of the audition, at 10 in the morning, and my agent said: “Hey, you have an audition today at 2. It’s for Andrew Dice Clay’s new show.” And I love Andrew Dice Clay. As a person who has done stand-up, I can tell you that he’s one of those iconic comedians that you look up to and hope to meet. I had seen him at The Comedy Store, and he just brings this power when he walks into a room; he just has that star quality, that charisma. So when they told me the audition was for his show, I was immediately excited and terrified at the same time, just because I had only so much time to prepare for this audition. At that point, you just have to be as on as possible in every moment. They wanted somebody that could work with someone as big as Dice. So, I just worked on the passion of the character of David, who marries into Dice’s family. CE: Tell me about David. EK: David is a gay man who gets married to the brother of Dice’s girlfriend (played by Natasha Leggero). It’s the first episode — it actually was supposed to be the fourth episode, but they made it the first one. It makes sense because it establishes what the show’s about, which is the misunderstanding of the character of the Dice Man versus Andrew Dice Clay. And my character is somebody who hates him in the beginning of the episode because of his stand-up act. Andrew has gotten a lot of flak because of his act. People don’t realize that’s actually not who he is; it’s a character. Once you realize that you actually see how brilliant Andrew is as an artist. It’s almost Kaufman-esque, you know, because he is so committed to this character. But you don’t realize he’s actually a loyal friend, a loving father and a sensitive soul who’s got a lot of depth. And so my character goes through an arc from hating him to loving him. And it kind of clears up any misunderstanding people might have about him as a misogynist or a homophobe. Because Andrew himself in real life is none of that. CE: What are some other misconceptions people have about Andrew, things they would be surprised to learn about him? EK: First and foremost, when it comes to the Dice Man, it’s just a character. In a way it’s almost a compliment, because if you can convince somebody that you are this character, then you are doing a pretty damn good job. And as an actor, he’s extremely nurturing. All of our scenes, he was just so available and so nurturing. That is something that I appreciate as an artist, because you want to feel safe in your environment. And somebody who is a legend like Andrew could have easily been a jerk, but he was a really great person to work with. EK: It’s an indie film that we filmed a couple of years ago in Scottsdale, Arizona, at an abandoned car dealership. The film happens over the course of one day. The main character, Mark Chamberlain — who is played by Patrick Adams, who is in “Suits” — has a quota of 35 cars to sell by the end of the day. And he needs us, his car salesmen, to meet that quota. He’s the sales manager, and his father, Malcolm, is the owner. The question is will he do whatever it takes to make that happen, as far as ethics go. It was a fun project to film. It felt like camp. We were out there for a month in dry, dry Arizona, where I used a lot of Visine because I had no idea how dry it would be out there. I worked with George Lopez and Cory Hardrict and all these stellar actors. It was just so much fun. It’s been going around the festival circuits; it’s making the rounds. Hopefully we’ll get a release sometime in the next year. This whole business is a waiting game. CE: That’s true, because you filmed it a few years ago, yet it’s just now making its tour. EK: I know. And sometimes you do a project like a project I did three years ago. It was my first lead in a film, and it went to South by Southwest (SXSW), and it was accepted on the rough cut. It was the fastest turnover. They had a month or two to do the editing and the sound correcting because they had to get it ready for SXSW. CE: Are you talking about your debut film, “Sake-Bomb”? EK: Yeah. I’m very proud of it. It was definitely a challenging film to film, but it was something I will never forget, especially for it being the first real big film that I did. CE: In your bio it says that you studied child psychology at Pepperdine. I would think that would be very helpful to you as an actor in dissecting the characters that you portray. EK: You’re absolutely right. I basically put each of my characters through a therapy session. I ask a lot of questions to get down to the core of who a person is. For instance, in “Sake-Bomb,” I play a jerk. I play a really horrible human being. But as an actor, I have to be extremely nonjudgmental and not play him as a jerk or a horrible human being. I have to play him as a person who is hurting. Why is he a jerk? Where is that coming from? And that brings you a lot more depth than just playing the result of a jerk. My studying psychology took things to that. I definitely still use it. I’d still like to work with kids in the future. I used to work in special education in high school, and that was the catalyst of why I wanted to study psychology. I still think that’s something that I will do in the future, but I’ll be doing it from a different place. I’ll be doing it in a different way. CE: What else do you have in the works? EK: A lot of things are pending that I probably can’t talk about. But I did an audiobook. It’s a novel by Ryan Graudin called “The Walled City.” It’s a beautiful book. I never thought I’d do an audiobook, but my voiceover agent said I would be right for it, so I auditioned for it. It’s extremely challenging. It was one of the most amazing experiences, because when you do an audiobook, you have to bring life to all of the characters in the book. There were 10 or 12 different characters I had to play. That was something I was really proud of. You can find that on iTunes right now.